Native Instruments elevates playability to the next level with the Maschine Jam Grid Controller. More than just a sequencing sampler, Maschine Jam is an intuitive music performance and production interface and the first member of the Maschine family to offer a complete 8 by 8 matrix of performance pads. Taking the hardware even further, Maschine Jam offers eight "smart" ribbon strip controllers for editing sample volume and effect parameters, triggering chords and arpeggios and more. Each strip offers dual-touch functionality, and is able to sense up to two fingers simultaneously. These smart strips also feature multi-color LED indicators on their right side, to provide realtime visual feedback whether your fingers are on or off the ribbon strips. 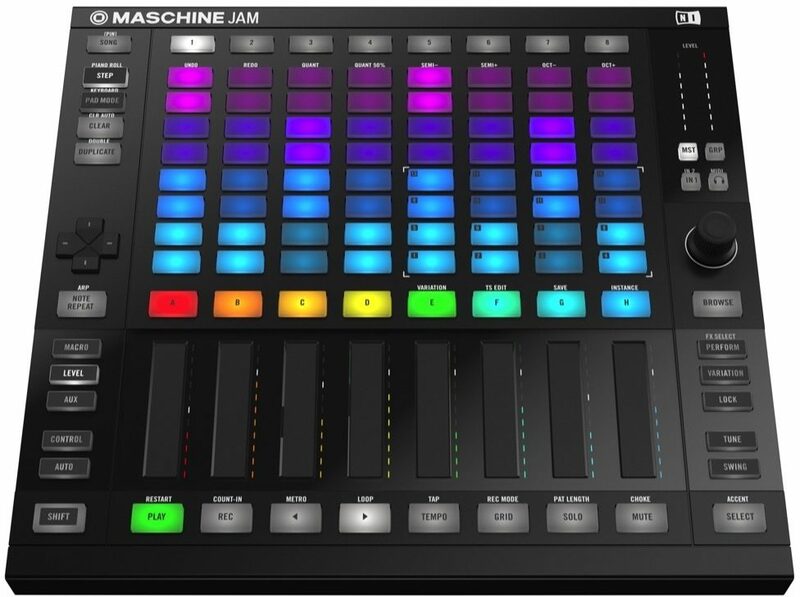 Maschine Jam is designed to integrate with other equipment in a wide variety of setups ranging from live performance to studio music production. As such, Maschine software can run in standalone mode, or as a AAX, VST, or AU software within most popular DAW software. It even comes with mappings for Ableton Live. 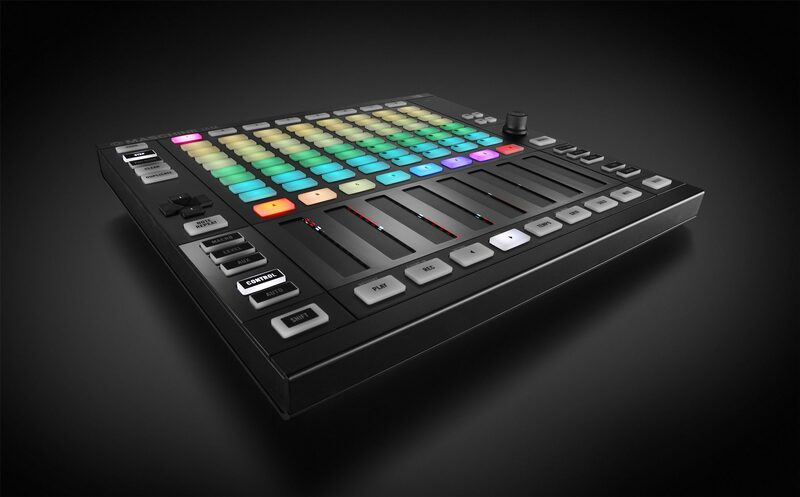 Of course, it also integrates seamlessly with other Native Instruments hardware, including additional Maschine units. 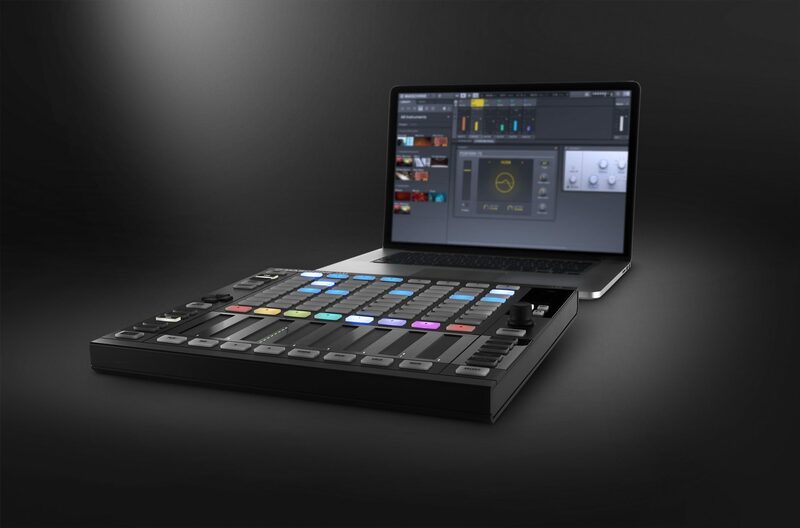 Out of the box, the Maschine Jam comes loaded with over 9 GB of sound libraries including professional-quality samples developed by sound designers and artists. With over 8,000 samples, hundreds of drum kits, multi-sampled instruments, and sliced loops, Maschine software comes equipped with more than enough audio to get your creative juices flowing. As if that wasn't enough, a license for Komplete 11 Select is also included, which throws in an additional 25 GB of pro-grade samples, instruments, and effects to choose from, offering a vast universe of sonic possibilities to explore. - Please note: Native 64-bit support for stand-alone and plug-in versions. This product runs in demo mode after installation and must be activated before full functionality is available. 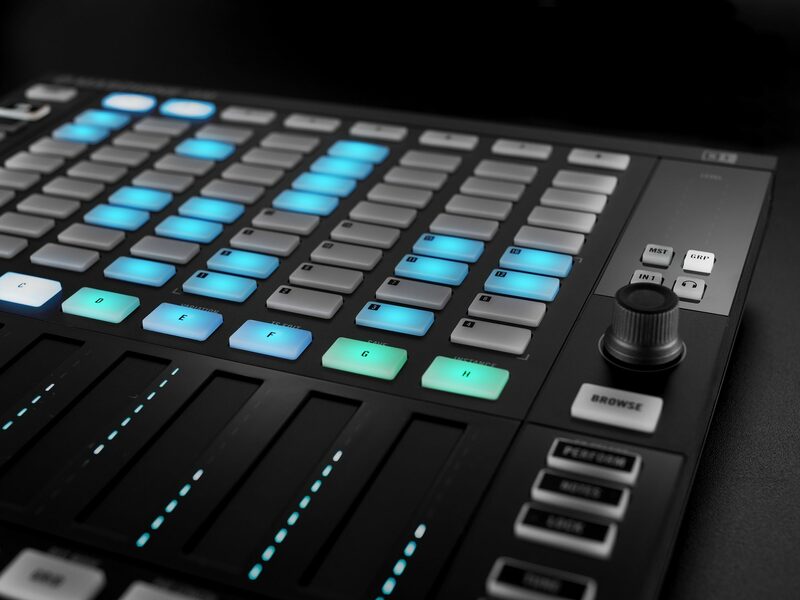 The Native Instruments MASCHINE JAM is the modern production and performance system for intuitive sequencing and track building. Sketch patterns with advanced multi-track step-sequencing. Shape your sounds with dynamic, LED-guided Smart Strips. And bring your arrangements to life with an included arsenal of premium sound from MASCHINE software and KOMPLETE SELECT. MASCHINE JAM is your shortest route from idea to reality. What's special about MASCHINE JAM? 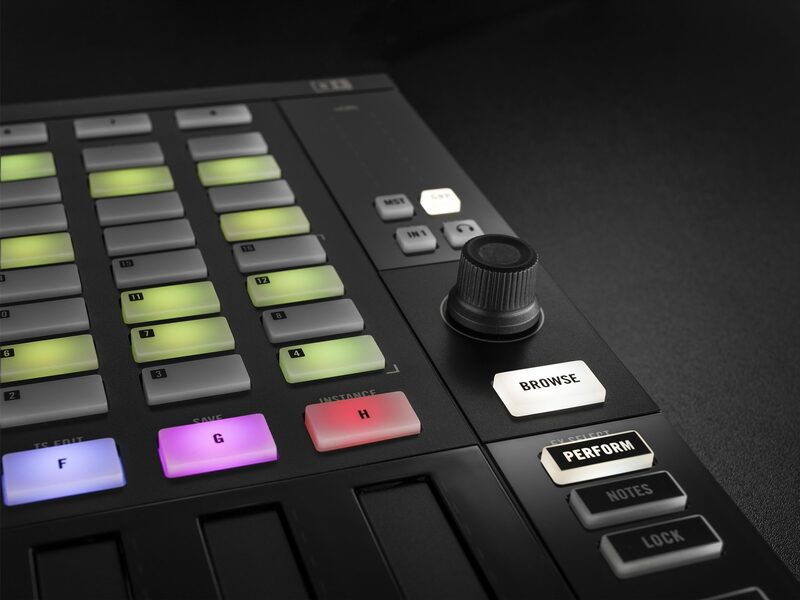 Native Instruments Maschine and Komplete Kontrol S Series products now come with a Komplete 11 Select license. Purchase a new Maschine Jam, and you'll be eligible for an upgrade from Select to Komplete 11 or Komplete 11 Ultimate. Current customers who own a Komplete Kontrol S Series or Maschine will also be updated to Komplete 11 Select for free, via download. Overall: love the Maschine jam. perfect addiction to any studio.